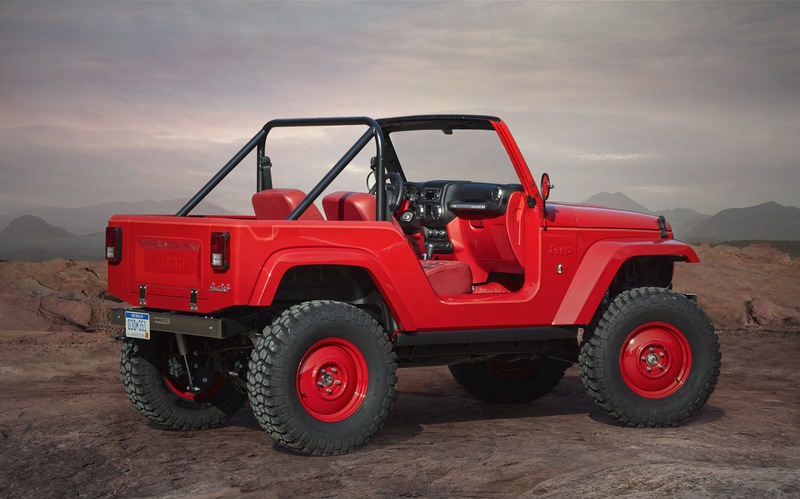 Since its introduction, the four door Wrangler Unlimited has become the first thing people think of when they hear: “Wrangler.” The two door is almost an afterthought despite being the closest descendant to the original Willys Jeep. 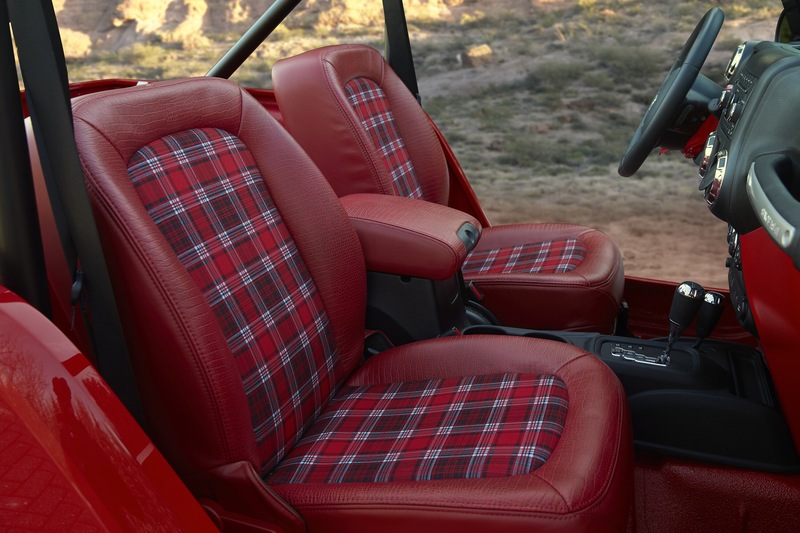 The “Short Cut” Wrangler, as Jeep has dubbed it, was shortened 12″ from the standard 2 door Wrangler and incorporates angled door opening reminiscent to the old CJ-5. A retro tailgate, steel bumpers, painted steel wheels and V6 fender badge complete the look; in addition to the plaid low back bucket seats, old-school mirrors and bare CJ style roll cage. As with all of Jeep’s concept vehicles; I try and pick out potential clues towards future production vehicle design. I don’t think we’ll see this shorter than short wheelbase version or (sadly) the plaid seats, however; the grille has caught my attention. We’ve heard rumors that the next generation Wrangler will be more aerodynamic aided, in part, by a creased grille. The Short Cut’s grille does have a distinct bend to it, thankfully not as drastic as Cherokee’s, as well as headlights that overlap the outer two vertical slots, which might mean a narrower nose. It’s actually closer to the style of the YJ and TJ grilles than the CJ-5; however the encroaching headlights are all CJ. I have a feeling this might be close to the production grille we’ll see on the JL (or whatever letters are assigned to the new Wrangler).